Before killing me, the killers decided that I should dig my own grave. Editor’s Note: This is the first of a series of powerful stories of forgiveness from survivors of the Rwandan genocide that took place in 1994. Please note that these are real experiences and at times include graphic details. Phodidas (foe-DEE-dus)—whose name means “I worship the Lord”—was born into a Seventh-day Adventist home in the mountains of Rwanda. At an early age Phodidas showed leadership abilities and a dedication to God’s Word. He was active in school, Pathfinders, and in the Adventist Youth (AY). He became responsible for the spiritual life of his peers and preached the morning devotionals at school each day. Over the years his Bible became marked with numerous underlinings and highlights of various verses. 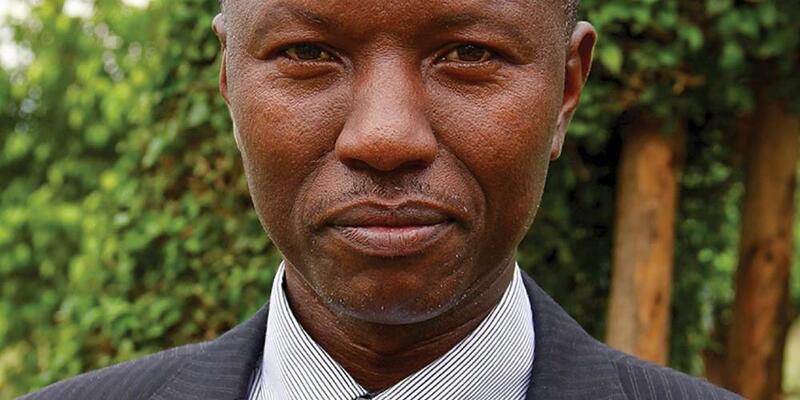 Little did Phodidas realize how that marked Bible would help to save his life during the horrific Rwandan genocide in 1994 when he was given grace to preach to his killers. I was hoping that God would give me wings to fly away, or that He would send fire from heaven. But God answered in a much different way from what I could have imagined. “Those are my favorite verses,” I said. Interested, the man started reading the many highlighted verses. “Are you sure you’ve read all of these?” he asked incredulously. “Yes,” I responded. I could see that the man had some pity for me. God had a plan, but sometimes we want to try and force God to answer our prayers in the way that we think is best, rather than just trusting Him. I watched as the group gathered around the body of the person they had just killed before coming after me. “Mary, mother of Jesus, receive him,” they said before rolling the corpse into the grave that had been meant for me. So they all sat down and I started to preach.